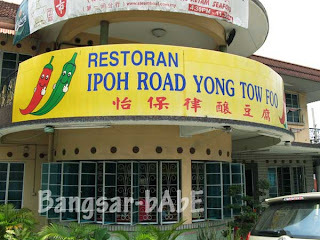 Last Sunday, rif and I had lunch with Derek at Ipoh Road Yong Tow Foo, Jalan Segambut. They used to operate under a big tree just across the road. Back then, it was hot, humid and not very clean. Now, they run their business in a bungalow with much more space and easier parking. We were given an order form where you write down the number of items you want. rif and I are both creatures of habit. 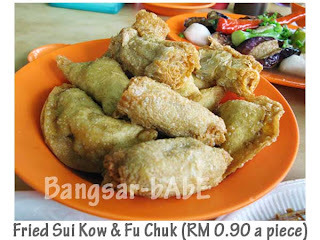 We stuck to our favourites; The stuffed brinjal (3 pcs each), fried sui kow (3 pcs each) and fried fu chuk (2 pcs each). Derek had the stuffed chili, bittergourd, white tofu, fishballs, fried sui kow and fu chuk. The fried sui kow and fu chuk were pretty good. Very crunchy and filled with springy fish paste. I liked that they added a bit of pork in their fish paste, giving the filling extra bite and flavour. Good stuff! The brinjal was fresh and very tender too. I love eating it with sweet black sauce and a dash of chili sauce. It tasted much better than the stuffed brinjal at YHK Yong Tau Foo. 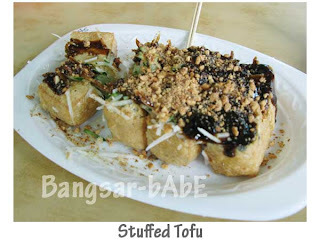 Besides the Yong Tau Foo, we also ordered some rojak and stuffed tofu to share. 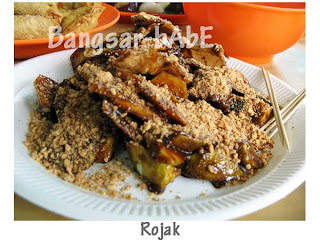 I though the rojak was very average, nothing to shout about. The har kow wasn’t sticky nor fragrant enough. The stuffed tofu was just as average. It tasted rather bland. Both the items cost RM 8.50, and I wouldn’t order them again. Lunch cost RM29.70 for the three of us including rice and drinks. 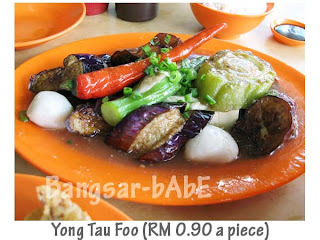 The Yong Tau Foo cost RM 0.90 per piece which I found quite expensive (it used to be RM 0.60 per piece). Nonetheless, the meal was quite reasonable and so long as they don’t simply raise their prices, I’ll keep coming back. Verdict: Come here for the Yong Tau Foo, but skip the rojak and stuffed tofu. I agree…fast and efficient. Good thing they hired capable workers. Even though it’s so near my place, I doesn’t seems to have an interest of going here to eat yong tao fu lol.